7 PASSENGER!! 2017 Kia Sorento LX with Only 21K miles!! CLEAN CARFAX, One-Owner. This vehicle offers a sharp looking color combination of Platinum Graphite paint with Gray Cloth Seats. Automatic transmission, Power locks, Cruise, 17"Alloys, Bluetooth Compatible, 3rd row seats: split-bench, 7 Passenger, Air Conditioning, AM/FM radio: SiriusXM, CD player, Exterior Parking Camera Rear, Power steering, Power windows, Remote keyless entry, Steering wheel mounted audio controls, Power Turn signal indicator mirrors. Equipped with a powerful, yet fuel friendly 3.3L engine. This vehicle has been checked out by our service department and has passed inspection. No Worries! 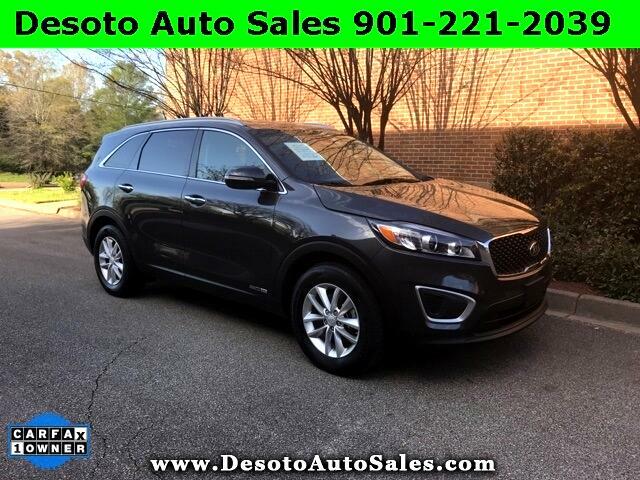 This Low Mileage 2017 Sorento has remaining Factory Warranty. To do away with concern for any possible future repairs, a Bumper to Bumper Warranty can be added for only a few dollars more per month.